August 1: RMF Youth Fly Fishing & River Conservation Day Camp continues from July 29 to August 3. August 2: RMF Youth Fly Fishing & River Conservation Day Camp continues from July 29 to August 3. 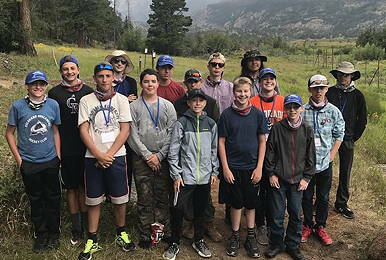 2018 Camper smiles after fishing at RMNPRMF Youth Fly Fishing & River Conservation Day Camp continues from July 29 to August 3. August 14: RMF Board Meeting at 7:00 PM. Members are welcome to attend any board meeting. Check with a Board Member for the meeting location and/or agenda. There are many small streams high in the mountains inside the park. Join us for some unique small stream fishing. Contact host .